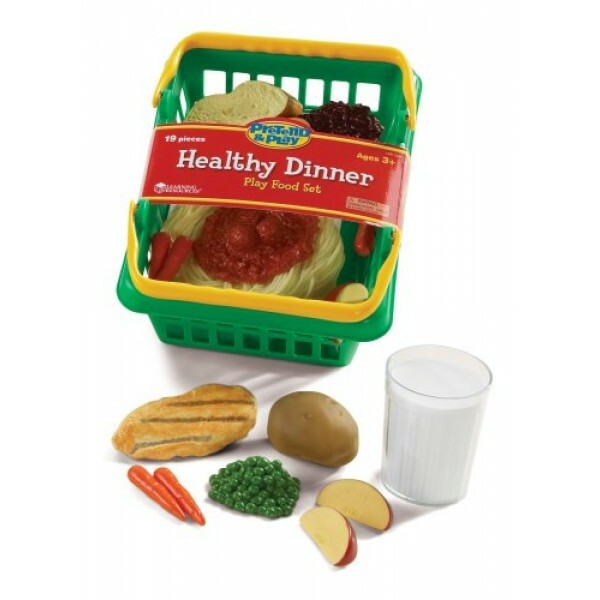 Kids can role-play their way to a healthy lifestyle with Learning Resource's basket full of nutritious meal options. 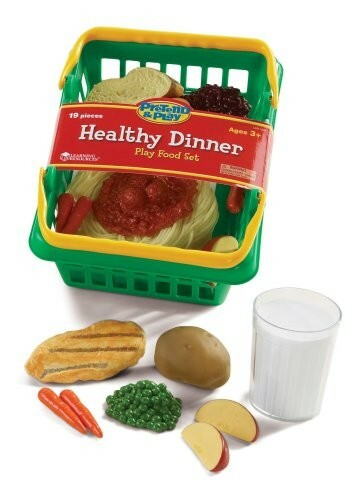 Made to look just like the real deal, this realistic set includes a basket full of healthy dinner food, a sturdy shopping basket and an Activity Card. All play food pieces are actual size and wipe clean. Dinner is served!